• According to Procter & Gamble CEO A.G Lafley, “In our industry, only about 15 to 20 percent of new brands and products really succeed. This year the first quarter Spotlight showcased 14 new companies: All Beauty Water, Beauty White Procelain Doll Whats Hot inc, Cureology, Brand Central Beauty, Hairmax, My Amazing Hair Secrets, Nutrafol, Ottlie and Lulu, Skin in Treatment, Pour le Monde, Primp and Polish, Selfie Tango, and Sen7. #1: Skin in Treatment was was born out of necessity; formulated by the CEO and founder after suffering from the after effects of her cancer treatments. The Pharmacist’s Daughter is an amazing line of skin products that help sooth skin affected by chemotherapy & radiation treatments. Although created for a good cause, it’s actually good for EVERYONE! Each piece within the ‘Skin in Treatment’ line is unscented (except as noted) and is suitable for both your scalp and your skin. The full line includes Aloe Mist Cooling Spray, Aloe Milk Lightweight Lotion, “Solve” which is the Skin & Wound Salve. With the statistics of cancer being 1 out of every 2 men and 1 our of every 4 women, products like these are necessary, serving an underserved customer who truly needs this type of product. Yet it’s for everyone who wants to soothe their skin. #2: This one is one of my favorites only because I love my little girls, and the sooner we teach them the importance of taking care of and appreciating themselves as young ladies, the more they will bloom. 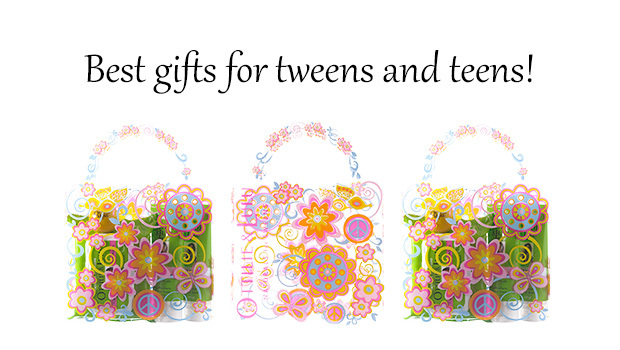 Ottilie and Lulu provides an all natural comprehensive skin care regimen for tween and teen girls. Created by a former Revlon executive and mother, Deborah Hernan is onto something. Moms, mentors, big sisters. etc., now you have activities that you can do with your “youngins” that are fun, healthy, and teaches them the importance of skincare at a young age. #3: If you hydrate your skin, then it’s just as important to hydrate your body. At All Beauty Water their mission is to encourage people to make the connection between what they put into their bodies and how that effects their looks. This nutrient enhanced skin care drink (yes, I said skin care drink) is formulated to help hydrate and nourish your skin from within. How does it taste? The creative flavors of Cucumber Aloe (my favorite), Pomegranate Rose, and Strawberry Acai were refreshing and smooth without any nasty after taste, which tends to occur with most drinks that contain vitamins. If you don’t live in Manhattan then the next place to go to buy a bottle is the company’s website or amazon.com. #4 Grand Central Beauty was selected because this product fits the lifestyle of the Bronze Bomber on the go. GCB promises classic treatment with modern results. They believe that as someone on the go you don’t need to always switch your entire skincare routine and regimen due to changes in your age, environment, the season or your lifestyle. Instead they believe you can layer S.M.A.R.T. 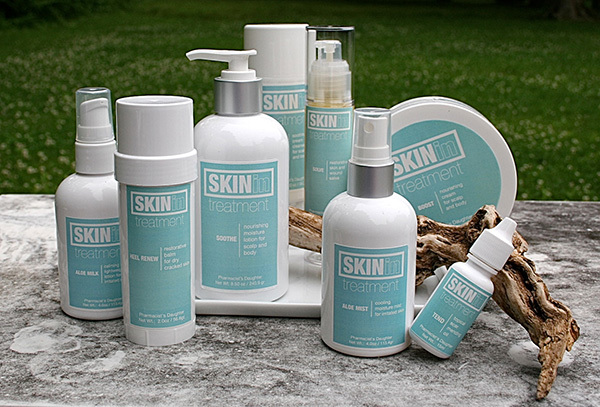 (Smooths, Moisturizes, Anti-Aging, Redness-Reduction, Tones) treatments at once. My favorite is their Serum+Primer. It left my skin soft and helped to erase some of the fine lines on my face. Ladies loving this product say its a new face in a box…. #5: The summer season is coming and who doesn’t want glowing skin? With the alarming rates of skin cancer, many are refraining from the sun kissing their skin and instead embracing the life of self tanning creams. 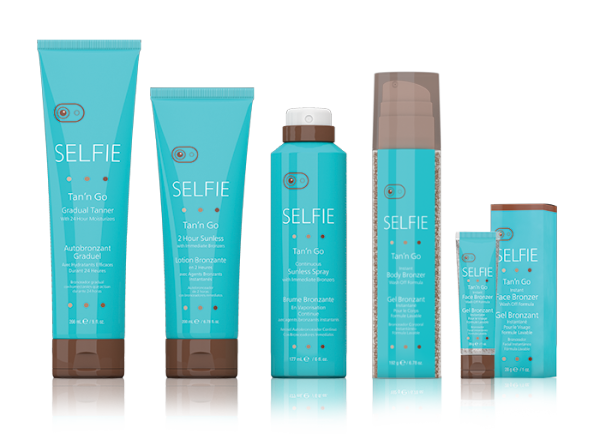 Selfie Tan’n Go is not the orange creme that gets everywhere. Instead, their product has little granules of color that blend in with your skin as you massage this patent pending, fresh and clean fragrance technology in to your skin, awakening your senses while giving you a glow. What is great is that this is for all skin tones; YES ALL! Rich moisturizers along with Vitamins A & E and a unique botanical blend of Green Tea and Kola extracts keep your skin looking and feeling great! #6 Along with the summer comes the busy schedule of being out and about. As a woman on the go, who wants to sit in a nail salon waiting for your turn for your weekly mani/pedi? With Primp and Polish the wait is over. You can get a mani/pedi on the go with their discrete and efficient mobile service. Their nail colors transcend the norm while creating traffic-stopping custom nail art. Primp and Polish is reinventing the salon experience by booking your nail appointment via email and even offering event hosting. #7: What’s Hot inc. is one stop shopping for the newness in beauty (outside of Beautypress) They offer new products for salons, boutiques and fashionistas. 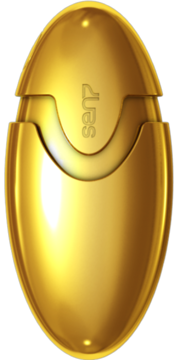 One of my favorite products is Sen7. How many times have you wished your favorite perfume came in a purse side bottle. Well with Sen7 the wait is over. This wonderful unisex lifestyle object has you smelling good with style. This is the gift for the person that has everything. Finally you can give them something they will actually want, don’t have and will use. Until the next in beauty newness enjoy, live life and love every minute of it; experiencing new experiences, products and new issues of Bronze Magazine. Be sure to like, share, tweet and post. We’d love to hear from you. PEACE!